Pyromation produces a wide range of thermocouples for most market applications, including MgO (Magnesium Oxide), industrial and general purpose types. 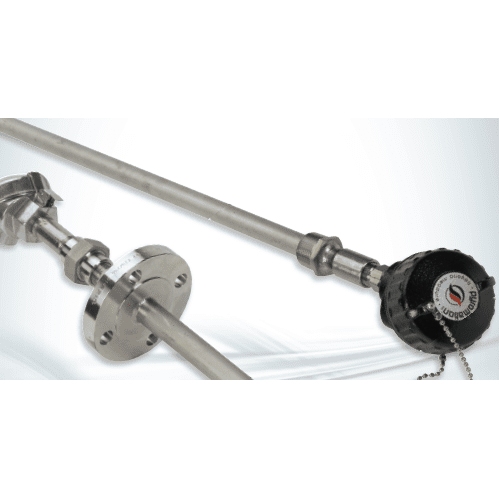 We also make thermocoupleassemblies for hazardous locations and other applications that require connection heads, protection tubes, thermowells and/or transmitters. Magnesium Oxide mineral insulation and encased in a metal sheath. Thermocouple sheaths have been fully annealed; they can be formed into many configurations, and can be bent into a radius of twice the size of its outer sheath. response time temperature measurement in a variety of laboratory, process, and special applications. the most commonly used assemblies, however, other sensor configurations are available upon request. general applications where a 1/8″ NPT fitting is preferred by utilizing either a compression fitting or a bayonet adapter. 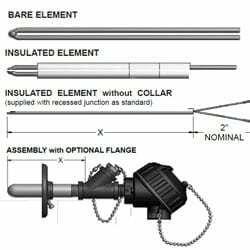 These sensors are constructed using a 316 stainless steel sheath and insulated thermocouple wire. Pyromation’s miniature sensors are designed to measure the critical temperature of the metal bearing shoes operating in generators, turbines and other rotating equipment. Monitoring the bearing temperature of rotating equipment is very important in preventing machine failures caused by the breakdown of the lubricating oil when it becomes too hot. Pyromation not only provides a cost-effective line of miniature sensors for these applications, they have experienced sales and engineering support available to assist you in finding the best way to measure temperature in your equipment. Insertion RTD probes are used to monitor internal temperatures of meat, fish, poultry, dough, and other food products, both fresh and slightly frozen varieties. Other uses include penetration of soft process materials such as rubber and plastic compounds. The materials of construction are all FDA compliant for use in sanitary applications. 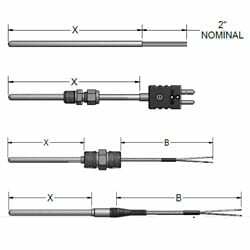 The hand pyrometer thermocouple probes listed below are suitable for use in many process and laboratory applications for “spot checking” temperatures of a variety of products and air flows. 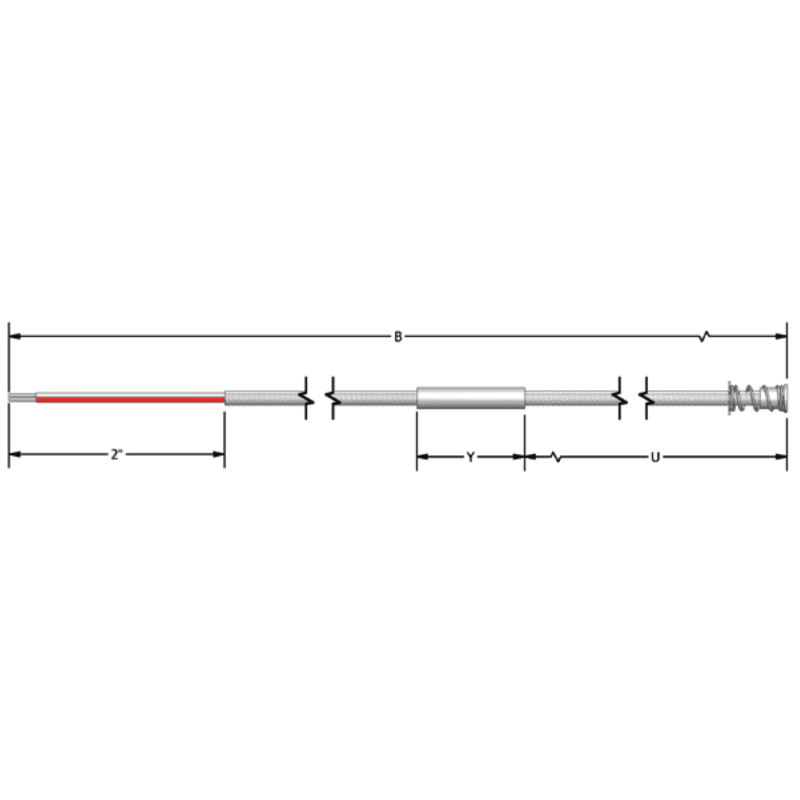 The probes are designed for use with Pyromation’s and other manufacturers’ handheld pyrometers. 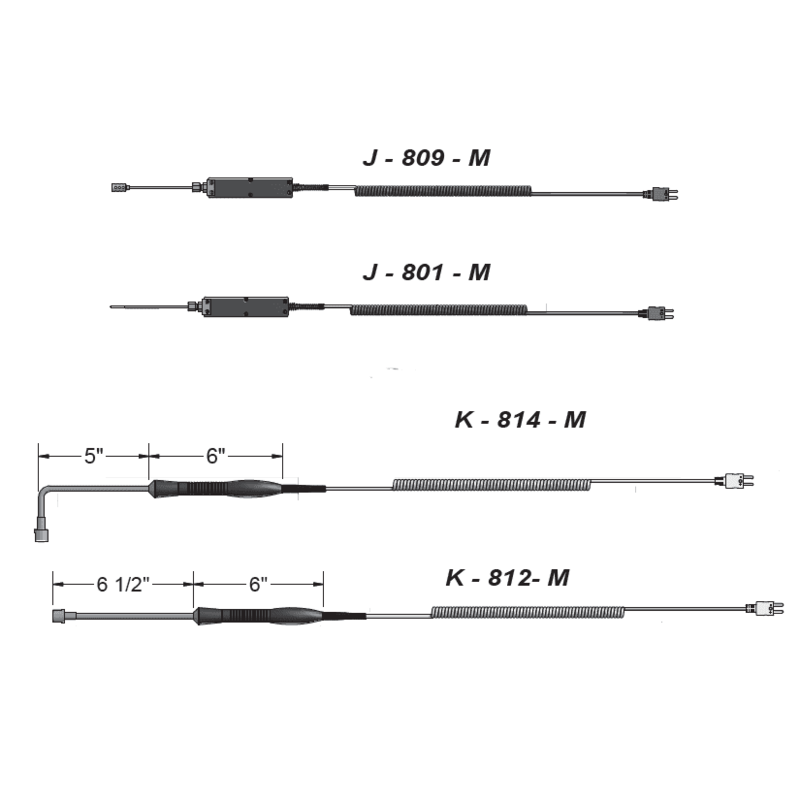 All probes are supplied with retractable coiled cordset leads with an expandable length of 5 feet. 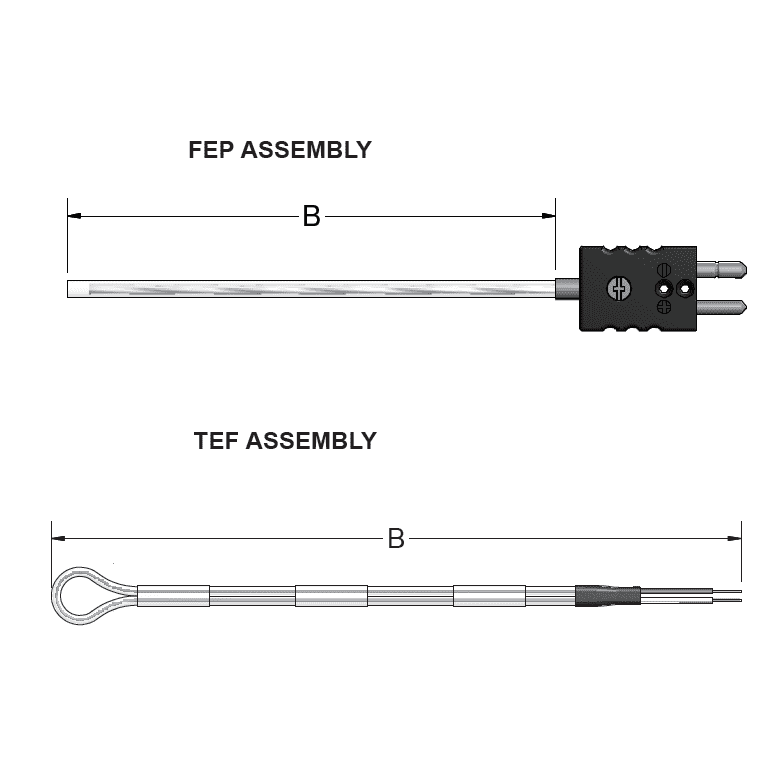 The thermocouples listed below are designed for a broad range of uses in applications that require resistance to corrosion and chemical attack. They provide very good temperature measurement and service life in plating, pickling, and acid bath applications. Besides oil pressure, exhaust gas temperature (EGT) is the most critical diesel engine condition requiring measurement. A well designed thermocouple is needed to capture accurate temperature measurements from the pulses of cylinder exhaust gas. 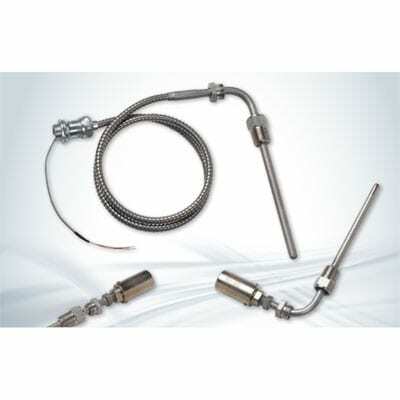 Pyromation’s line of diesel engine thermocouples are designed and built to provide analysts with accurate EGT measurements and quick response times. Their heavy-duty construction allows them to withstand the harsh temperature, vibration and oxidation conditions encountered in vehicles, commercial and construction machinery, locomotives, power generators, compressors, marine equipment and other industrial applications. 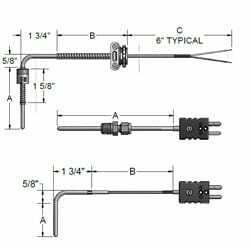 These thermocouples are made to be conveniently detachable for easy removal or replacement. 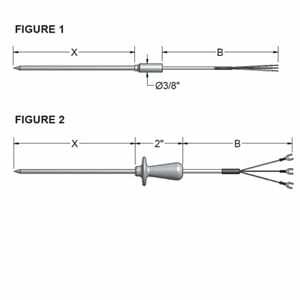 Pyromation makes a variety of thermocouple constructions to meet almost any EGT measurement requirement. Pyromation offers a line of MgO pipe well temperature sensor assemblies that function as a less expensive alternative to thermowell assemblies in low-pressure, low-velocity piping, and vessel applications. In certain applications where longer temperature sensor assemblies are required, pipe well assemblies can be used at lengths where thermowells might not be practical. The MgO thermocouple sheath in these pipe well assemblies offers an extra shield that delivers excellent corrosionresistance, protects the element from contamination, and guards against thermocouple drift and oxidation. The MgO-type thermocouple also provides superior stability compared to standard industrial thermocouples in high vibration applications. Pyromation’s line includes flanged, welded, and threaded pipe well assemblies in a range of sizes and materials.